No matter how far you run, the past will always catch up to you. 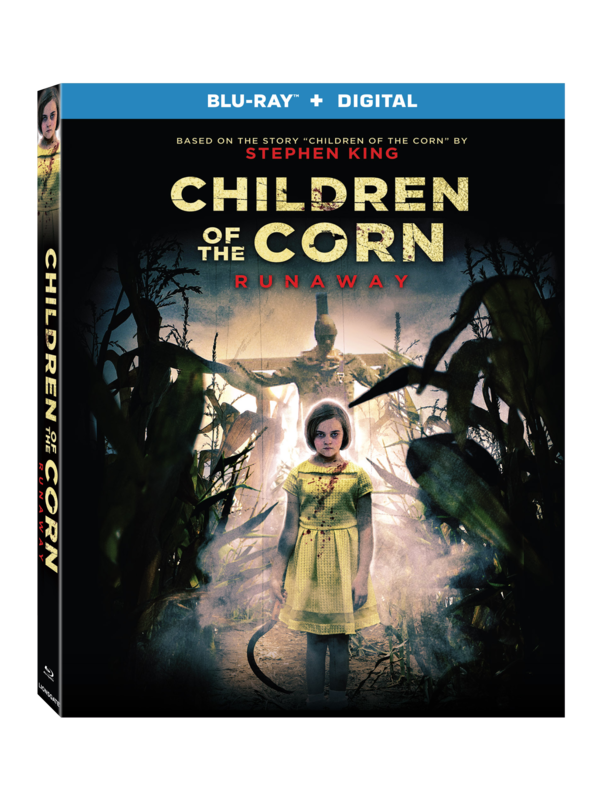 That is the tagline for Children of the Corn: Runaway — and the same could be said for this franchise. Stephen King’s eponymous short story, originally published in a 1977 issue of Penthouse magazine, has now spawned ten movies–the first starring Linda Hamilton in 1984. The previous installment, Children of the Corn: Genesis was released by Dimension Films in 2011. Now it’s harvest time once more. The film is directed by John Gulager (Piranha 3DD, Feast) and written by Joel Soisson (Children of the Corn: Genesis, Dracula 2000Hellraiser: Judgment). It stars Marci Miller, Lynn Andrews, Mary Kathryn Bryant, and Jake Ryan Scott. (Bryant is also in Dimensions’ upcoming ). The hosts at Now Playing Podcast have already reviewed the first nine Children of the Corn films. Their review of Runaway will be coming later in 2018.